Just when I thought we were getting a commercial break from the endless electioneering (ie Trump, Brexit etc, which don’t even involve us!!! ), we’re having a local, State by-election. That’s right. We’re heading back to the ballot box. As if that wasn’t bad enough, before they’d even announced the candidates, my phone had already started ringing…who are you going to vote for? You see, being the most marginal seat in NSW, this isn’t any ordinary election! We might have huge potholes in our roads which the local ducks use as swimming pools, yet when election time comes, the big wigs roll in. Sometimes, it feels like the aliens have landed. Back when my son was a baby, he even had his photo taken with then Prime Minister, John Howard. You should have seen his minders clearing the decks for the baby. Mind you, his mother was pretty keen as well. Although we’re a marginal seat at both State and Federal levels, it’s not often the PM comes to town. Yet, all those suits can be a bit of a culture shock. In many ways, we’re a casual, and even alternative, beach community. It’s not that we don’t have our local businesses and I used to work for one. However, the overall feel here is a lot more relaxed than Sydney. Moreover, commuting to Sydney for work is a way of life. My husband works in Sydney. Anyway, last weekend before the candidates had even been announced, the pollsters were already hitting the phones. After being a market research interviewer all through university, I always answer a survey. That’s how I found myself giving my opinions on the upcoming election. The only trouble was, that I haven’t exactly been in the land of the living lately. Early in the New Year, we headed off to Tasmania for three weeks and to be perfect honest, although the kids are back at school and Geoff’s returned to work, I haven’t quite returned yet. I’m still printing photos, researching Geoff’s convict origins and family ties and eating my way through Ashgrove Farms Cheese, Anvers chocolate and drinking Spreyton’s Hard Ginger Beer (and already planning my next trip to restock!). The trees around here are also looking short and while it’s a relief not to be dodging multitudes of Bennett’s wallabies beside the roads, we’re back watching out for the local ducks, who’ve trained the cars to stop. And while I’m missing Tassie, I should point out that I’m glad to be home and back to our beach. We do live in a slice of paradise. When the market research interviewer called, I was hardly primed with all the right answers. In addition to being wrapped up in our Tassie experience, I was also stuck on my usual dilemma…what to cook for dinner! They actually hit me with a long list of names and asked me what I thought of various people. Some I knew, some I didn’t but had the feeling that I should. The whole thing was also a bit tricky given I didn’t know who was running and they were almost insisting that I pick a party. I know this might make sense to them when they’re trying to uncover “the mood of the electorate”, predict which party is likely to win and forecast which issues are going to be the tipping point. However, all this becomes quite semantic in a marginal seat. After all, if we knew who we were going to vote for before they’ve even announced the candidates, we wouldn’t be a marginal seat. At least, that’s my thinking and it’s my thinking that matters because I’ m an undecided voter. Not necessarily a swinging or apathetic voter. More of an idealist…a visionary. Who are these people running and what do they really stand for? What are they going to do for our community? I’m not so sure I trust “the party”. Any party. So, rather than describing myself as “unpolitical” as I have done, I’m actually uber-political and I’m not going to let someone else make up my mind. I’m going to do my research. Check these candidates out and find out if they’re people of substance…or not. I owe our community that conscious vote, because when you live in a marginal seat, your vote really does matter. It counts. Well, at least your vote can help determine which of the major parties gets in or perhaps even an independent. Meanwhile, there’s still the pen and the keyboard at my disposal. Quite frankly, the pen is more powerful than the ballot box any day…a place where every underdog can have their say and at least self-publish. Yahoo! What are your thoughts about the place of the individual in the current political scene? Do you think we actually matter or has the machine wiped out the individual? Please share. I’d love to hear from you! This entry was posted in Australia, Compassion, Humour, Parenting, Writing and tagged election, Gosford, Labor Party, Liberal Party, Liesl Tesch, marginal seat, market research, politics, polling, voting on February 26, 2017 by Rowena. We don’t get many earthquakes around here. Here, in case you weren’t aware, is just North of Sydney, Australia on the NSW Central Coast. The 1989 the Newcastle earthquake occurred in Newcastle, New South Wales on Thursday, 28 December. The shock measured 5.6 on the Richter magnitude scale and was one of Australia’s most serious natural disasters, killing 13 people and injuring more than 160. I felt the ground shake during the Newcastle Earthquake and that my mother thought I was thumping across the room at the time. Thanks Mum! Anyway, today I came across this meme on Facebook an thought it was very apt. Have you lived through an earthquake at all? Please share your experiences. This entry was posted in Australia and tagged Australia, earthquake, earthquakes, Gosford, Newcastle, recovery on June 8, 2016 by Rowena. Touched By the Light of the Moon. Photography can be a lot like fishing. When you see that perfect shot, you’ve left your camera at home. Or, as has happened to me many times, the @#$% battery has been flat.Mind you, things were a lot worse back in the day when you could so easily run out of film and you didn’t have the privilege or looking in the back of your camera to see whether you’d got the shot. You had to be very particular and go through a lot of film “just in case”. Well, tonight was our lucky night even if being able to capture the moment and save it for eternity might not be everybody’s idea of hitting the jackpot. Yes, indeed, I’m sure if you surveyed 100 people, most of them would take winning lotto over being able to take a photograph…especially a night shot of the moon, which, without a tripod and the inherent blurring camera shake, is going to be a “mission impossdible” to perfect. 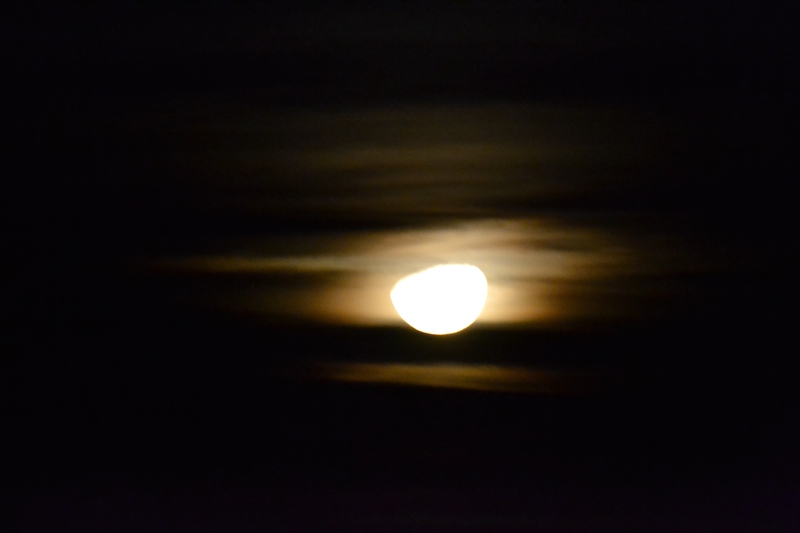 The moon rising on my father’s 70th Birthday tonight. What an incredible tribute! But that’s not the point.There’s something incredible, spectacular, spiritual and beyond any kind of description about looking through the lens at something amazing and having your own version, interpretation or perspective on that. I also find that photogrphing something helps me to absorb it in much greater detail than I do watching it with the naked eye. There’s that focus. That intense focus where sometimes, I can almost feel myself merging in with the subject and becoming one. Today is was my father’s 70th Birthday and it seemed quite appropriate that there was a particularly impressive, huge orange moon suspended in the sky as we droive home tonight.I didn’t even have to nudge Geoff to pull over at the lookout to take the photos. We were thinking the same thing and were pleased that for once we had the camera in the car, battery charged and ready for action when such a brilliant photo opportunity was screaming out to be caught. 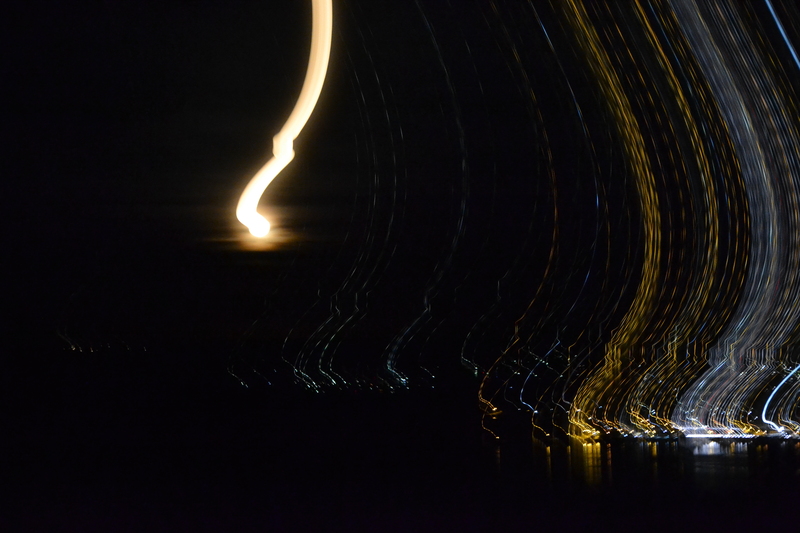 You can also get some very “interesting” effects taking night shots!! Being out there in the pitch black darkness staring at the moon through the lens and absorbing a sense of something so serene and beyond human comprehenion and understanding, was incredible. Time stood still for those few minutes and all the rush, bustle and “to-Do’s” melting away in the moonlight. Happy Birthdays Mum & Dad. Yes, Mum had her birthday during the week so it was a double celebration. This entry was posted in Australia, Photography and tagged ageing, Australia, Gosford, Happy Birthday, meditation, mindfulness, moon, photography, relaxation, serenity, space, Sydney, travel on June 8, 2015 by Rowena.